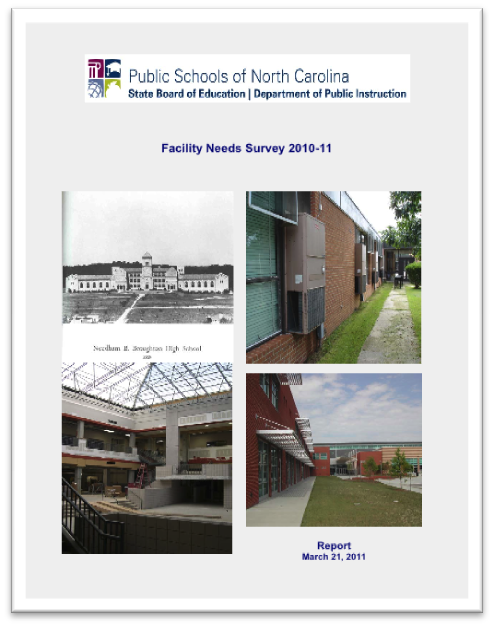 Every five years the State of North Carolina requires school districts to estimate the dollars needed for new construction, additions or renovations to existing facilities. In a few weeks the Division of School Planning will be sending a notice to Superintendents about this report. As in previous years, School Planning will provide each district a compact disc containing a current list of schools, 2015/2016 first month ADM for each school, and DPI’s 10 year membership projections. BAISCA has significant experience with every component of the Facilities Needs Survey. We can help you collect all the necessary information and fill out the forms in compliance with the State’s requirements. BAISCA specializes in the collection of data and the development of reports related to facility issues in school districts. Our field technicians will visit each school, or selection of schools, within a district to collect data about a specific building component or issue. A summary report ready for the Board or Leadership Staff is delivered to the district immediately following the collection of field data along with all backup data in electronic format.